UMORFIL® Beauty Fiber® is a new generation of bionic fiber; it is composed by collagen peptide amino acid from recycled fish scale and viscose fiber, which is 100% biodegradable. It has the features such as silk-like sheen, cashmere-like lubricating and linen-like moisture control. It can fulfill the pursuit of nature, comfortable, leisure life and personalize style. UMORFIL® Beauty Fiber® is polymerized by UMORFIL® Technology (supramolecular technology) from collagen peptide amino acid with hundreds times of experiment and failure. Use UMORFIL® Beauty Fiber® and spin into yarn and then knit/weave into fabric, this fabric thus composed of collagen peptide amino acid on the interface. It is friendly to the skin with moisture function, cozy to wear, and the most unique point of this fiber is collagen peptide amino acid ingredient will keep active even after washing, which provide a persistent quality and functionality for the textile products. UMORFIL® Beauty Fiber® contains all kinds of diversified features of viscose fiber, including moisture permeability, temperature control, soft and luster as silk. The UPF effect, q-max and absorbent/ anti-static effect will be differ by construction, color and ingredient design by the final textile product, below testing result is for reference under certain criteria. According to the medical literature, the materials which contains appropriate amount of collagen peptide amino acid and multi kinds of Amino Acids, can provide skin friendly and health care. Since human skin moisture loss over time, UMORFIL® Beauty Fiber® with better moisture feature and can become the natural protective film. By wearing UMORFIL® Beauty Fiber® clothes, it will keep the moisture feeling and become the natural skin care for body. UMORFIL® Beauty Fiber® provide nature deodorizing feature, even after washing, the function remains, it can suppress odor underarm, back and private parts produced by sweat. 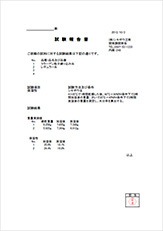 The deodorizing function includes Ammonia / Acetic acid / Isovaleric acid, which had reached Japan standard. UMORFIL® Beauty fiber® use supramolecular tech for bonding peptide amino acid into the fiber internal, replace of chemical softener to prevent skin from allergic rash. Thus, also suitable for babies or elders' skin. Also, UMORFIL® Beauty Fiber® had passed skin sensitivity and irritation test. With sunlight over 2 hours, suggest to choose clothes with UPF30+ functions, it can prevent the UV damage for skin. Amino acid inside UMORFIL® Beauty Fiber® will capture water from the air and protect skin as a file, which can provide excellent anti-static feature. UMORFIL® Beauty Fiber® had passed HALAL Certificate.